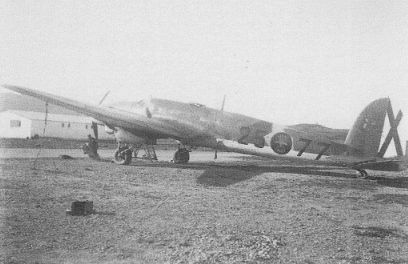 He 111E-3, assigned to 15 Regimiento. Tail-mounted serials are almost invisible in the extant pictures, but after research the Author has found out that this aircraft was B.2-88. Accordingly, the serial has been positioned where it was supposed to be carried. 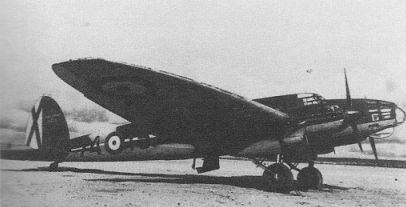 H 111J-1 ‘25-101’ (later MB.2-101), assigned to 92 Escuadrilla Meteorologica. The aircraft sports a mixture of civil (national flag) and military (fuselage code) markings. ‘Yoke and arrows’ were carried on both civil and military aircraft at the time. Drawing based on recently unveiled photographic material, taken in 1943 at Bordeaux-Merignac by KG 40 personnel. The He 111E-3 preserved at Cuatro Vientos, near Madrid. 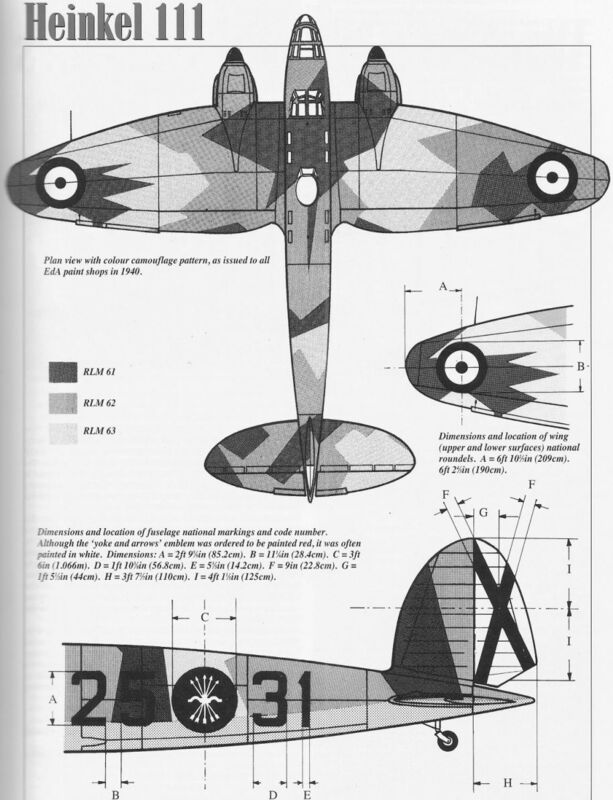 Sadly, there are many inaccuracies in its basic finish, both the extent of the camouflaged zone and the way the brown and green colours were applied are incorrect. The shape and dimensions of the markings are also not particularly accurate. The nose emblem seems to he that of 2.K/88. The Author doubts that the fuselage code ‘25-82’ was ever worn by this aircraft. A logbook for the original ‘25-82’ shows the aircraft’s w/nr was 5240, while the museum example has a ventral identity plate proclaiming w/nr 2940. The previous colour scheme employed on the Cuatro Vientos He 111E-3. With fuselage code ‘14-16’ and fin-mounted serial ‘B.2-82’ with white outline. Although the tail serial is not visible in the picture, ‘15-8’ was B2-99, the highest-serialled former Legion Condor aircraft taken over by the Spain. Pictured in the early 1950s (very probably 1952) at Agoncillo where the Regiment was based. Note the almost brand new-looking appearance of this aircraft, as late as 1952! By this time, the dark green tone (RLM 62) was often over painted dark brown (RLM 61), explaining why many aircraft wore a non-standard two-tone scheme. 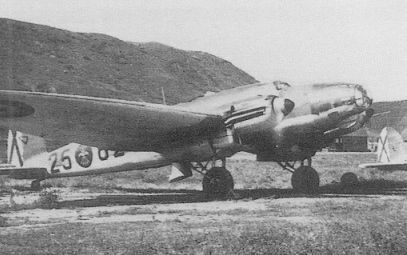 ‘25-31’, one of the 113 Grupo He 111B-1s, at Son San Juan air base during the spring of 1942. 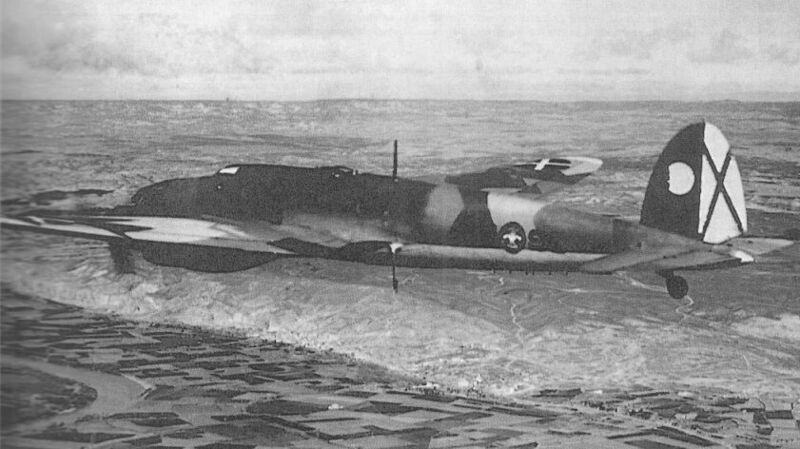 Note the three-tone splintered camouflage worn by the aircraft, which differed from one example to another. Noteworthy, too, are the uniforms worn by the two second lieutenants in front of the aircraft, typical of that period. At Agoncillo soon after the Civil War’s end, ‘25-77’ wearing larger fuselage code numbers and black circle - with red ‘yoke and arrows’ Falangist emblem on it. The three-tone ‘splintered’ camouflage is evident. He 111E - serial unknown - at Matacdn in the markings of the Escuela Superior de Vuelo or ESV (High Flying School), where the type served in the navigational and blind flying training for at least ten years.Coded ‘74-15’, lettering in the tail reads ‘Escuela Superior de Vuelo’. A yellow flash - that together a brown owl badge formed the school’s distinctive markings and were carried by most of its aircraft - can be seen along the fuselage. 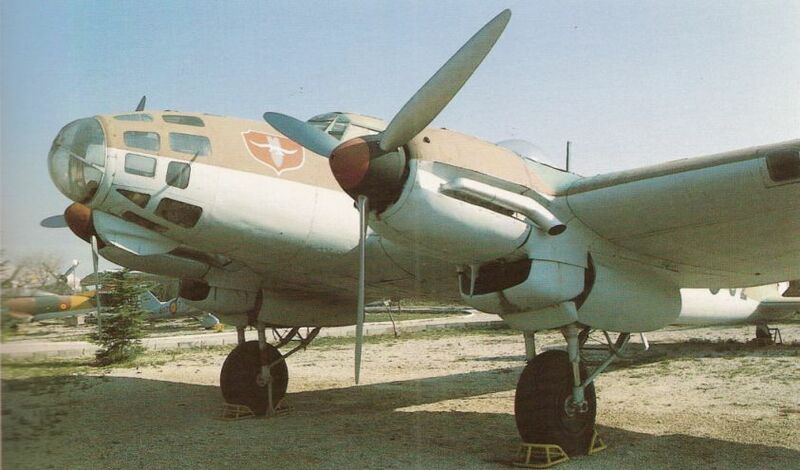 He 111E-3 w/nr 5240, ‘25-82’, was first issued to the 14 Regimiento, later transferred to the 15 Regimiento in 1951. It ended its operational life on December 16,1956. Noteworthy is the Civil War-style St Andrew’s cross still worn by the aircraft in the background. The He 111E-3 preserved at Cuatro Vientos carries the codes ‘25-82’. One of He 111Es turned over by the Legion Condor to the Nationalists, ‘25-81’ was first issued to the 14 Regimiento. Illustrated soon after the Spanish conflict, hence full wartime markings. Note the emblem of 2.K/88 and the absence of the ‘yoke and arrows’ in the Black circle of the fuselage. Line-up of He 111Es awaiting delivery to the Arma Aerea Espanola, shortly after the end of the Spanish Civil War. Nearest is ‘25-96’, one of the last He 111Es delivered to the Legion Condor. It (and very likely the other five) still wear wartime unit markings. He 111E-70 ‘14-17’, during one of the last exercises it took part in, 1956. Note non-standard red-black spinners. <...> to advantage the three-tone camouflage scheme, ‘25-93 ’ (w/nr 1342) in 1941, still wearing wartime markings, despite having been<...> to the 15 Regimiento. Tail marking is likely to be part of a Legion Condor emblem. Although the Civil War had ended eight months before, an He 111B-2 still wearing wartime markings in December 1939. Note what seems to be a two-tone non-standard camouflage scheme.